Posted April 2nd, 2006 by Ms. Jen & filed under news + events. It is 12:16pm on Sunday afternoon and I am still in my jammies! Yeah! Before I take off to drive up to the Cooley Pennisula, I just wanted to check in and say hi! 1) Yes, my thesis is done and even turned it before deadline*! Wahoo! 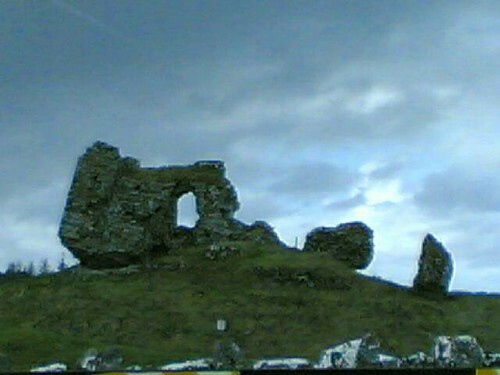 2) I took tons of photos yesterday whilst tripping around Offlay and Clonmacnoise. Will post a photo essay this week. 3) Yes, I still need to get up my SXSW photo essays and daily transcriptions. Will do this week. 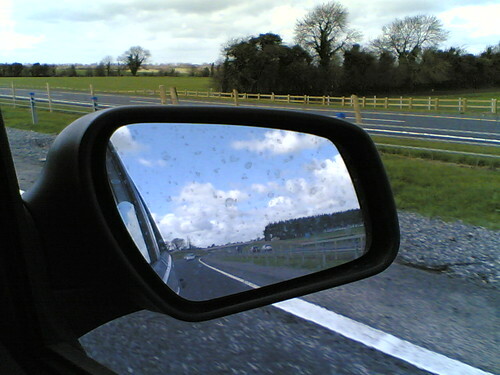 Posted April 1st, 2006 by Ms. Jen & filed under ah, ireland. 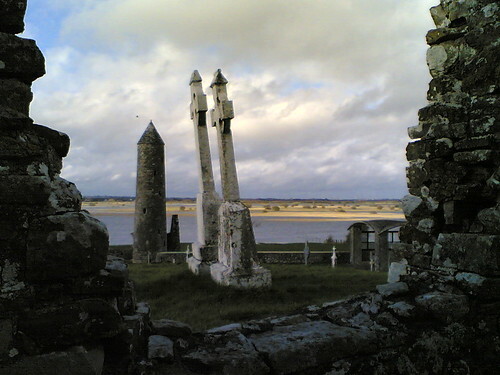 View of the Round Tower and the Shannon River estuary from inside Teampall Ciarán. 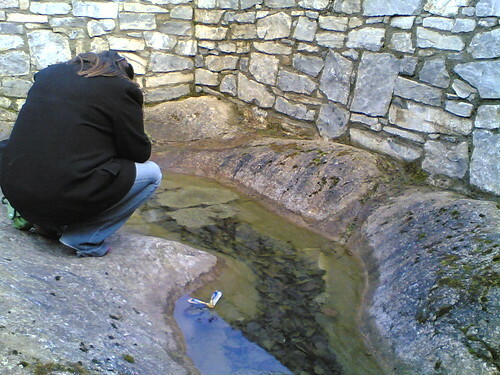 Sat 04.01.06 – Angie inspecting a mat of frog eggs.